KAUKAUNA — A Kaukauna woman was arrested Monday afternoon following a bank robbery in Little Chute. 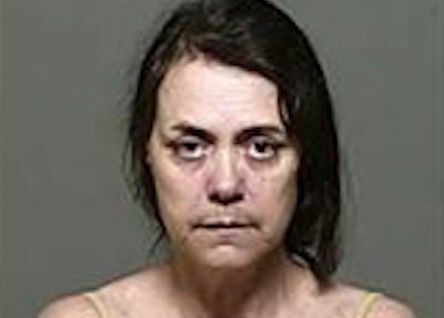 Lori Rogers, 55, of Kaukauna was jailed at the Outagamie County Jail and faces one count of armed robbery of a financial institution, according to a police press release. Fox Valley Metro Police responded at 12:37 p.m., June 5, 2017, for an armed robbery of the East Wisconsin Savings Bank at 1805 E. Main Street in Little Chute. A teller at the bank said that a white female, approximately 50-60 years of age, wearing a winter-type coat and a knit hat, approached the Tteller, displayed a small knife and demanded money, according to police. The teller complied with the demand and gave the female cash. The suspect left the scene in what was described as a red sedan, possibly a Chrysler. No other customers were in the bank at the time and no other employees had direct contact with the suspect. No one was injured in the incident. Shortly after the reported incident, Fox Valley Metro was contacted by the Kaukauna Police Department and provided information regarding a person of interest. With assistance from the Kaukauna Police Department, Fox Valley Metro personnel responded to the home of a person of interest in the city of Kaukauna. Officers and investigators reviewed information received from surveillance cameras, witnesses to the incident and information developed by the ongoing investigation, determining that the person of interest was involved in the armed robbery. As a result of the investigation police then arrested Rogers. The investigation is ongoing; additional details may be released in the coming days as developed.